Taster Days usually 2nd Sat and 4th Sun of the month, between 10:00-14:00 Check website for dates. 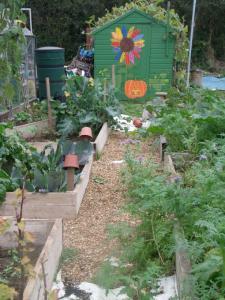 We are local residents who use one of the allotment plots at Southend East Allotment Society site to create a community plot where local residents can come occasionally or regularly to learn new growing skills, interact with each other and nature, save some money by taking some organic produce home and then maybe start growing at home or take on their own plot when they have the confidence. People ache for community. Due to the way we live now it is hard to make new connections where you live so we hope that our project will bring local people together and forge new connections, especially for those who are now isolated. People love to eat fresh, tasty food which is affordable. We hope that by giving them access to the growing skills, equipment and space we can make it easier for all of us to access that food especially if we are on low income. People feel better in nature. The plot will be their chance to interact with the soil, plants and animals (mostly earth worms), have the occasional sweat which will improve their mental health and physical well being. On top of it all - as if it was not enough we believe in the Power of Just Doing Stuff and Little Steps and meeting together - growing food in an organic way and preparing it together contributes to reducing the risk of runaway Climate Change and builds resilience against Peak oil and Financial Crisis. We are aiming at using reclaimed, donated and recycled materials as much of the time as we can. If driving from Eastern Avenue, turn into Hamstel Road at the roundabout (McDonald’s). Go past Cumberland Avenue on the right. Entrance to the parking and plots is on the left side between houses, opposite the Fish and Chips. Enter the South side of the site by turning right at the gates near the toilets block and continue all the way down. 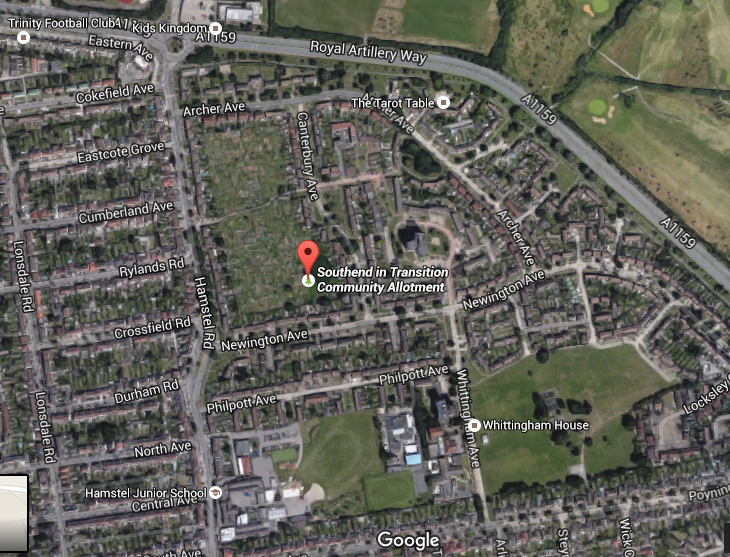 You can also find street parking on the other side of the allotment site of Canterbury Avenue and there is an entrance to the site between homes no 51 and 55. Enter the South side of the site by going past the Trading Hut, turning left at the gates , continue all the way down. The plot is on the South side. Donate what you like if you can spare some resources.